Firestorm is a hot mess, and he's definitely too complicated for me. At a thrift shop I stumbled on a few issues from the '80s series known first as "The Fury of Firestorm" and later "The Nuclear Man." The flaming hair radical costume caught my attention, and as a comic amateur I at least recognized the name. After reading only issues 4 and 5 (the earliest from the assortment I have), I decided that Firestorm is over my head. I love the idea of student Ronnie Raymond and scientist Martin Stein being fused together as a super-being in a nuclear accident; that sounds awesome on the surface. I hated his/their ability to de- and re-fuse to/from the superhero form. It would've been much more fun to see their two dichotomous consciousnesses constantly squabble for control. 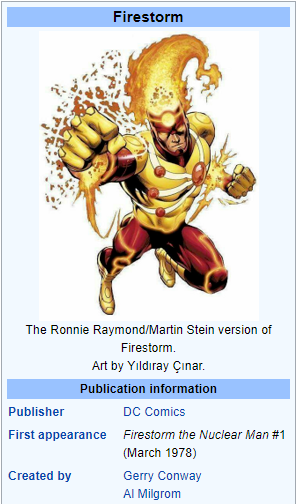 Also, Firestorm's powers that feel more vague than those of the average superhero. His ability to subatomically change almost anything into almost anything else comes with a set of rules too messy for my tiny brain, and his shameless array of powers feels unfair. Per Wikipedia, he gets even more convoluted over time. There are more fusions, new Firestorms, other Firestorms, deaths, and several key foundational changes to the series. Even had I continued reading, I'd have been overwhelmed by what was yet to come. The style feels very classic and engaging. It's not all bad. The characters and dialogue are unique for their time, and generally interesting, and the art style is appropriately '80s (in a good way). There's plenty of fun and drama here for the right readers. Just look at all this '80s stuff I need! 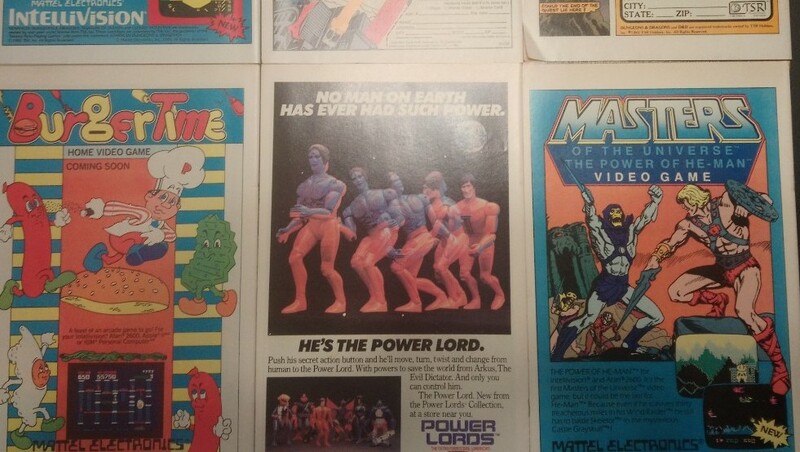 Most importantly, these issues are packed with stellar ads. 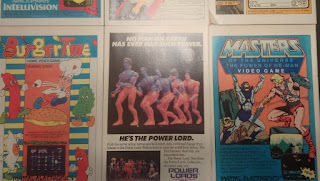 Dungeons and Dragons, Intellivision games, He-Man, and plenty of other superheroes made it worth flipping through every issue for the nostalgia buzz.